Changing the furnace filter in summer strikes a lot of people as pretty weird. It only takes one good heatwave to make people forget that they even have a furnace, let alone one that needs preventative maintenance in the summertime. Tell them to change the filter in July and, seeing as the furnace is the last thing they want to use right now, they’ll just forget about it. The thing is, the way your (HVAC system) operates makes changing your furnace filter in summer a necessary bit of preventative maintenance! Here’s why you shouldn’t neglect it, even as the heat pushes to 40 degrees. Most HVAC systems have a lot of ductwork, through which both the cool air from your central air conditioning and the heated air coming from your furnace. The ducts also allow your system to exchange air from outside and within your home. Your system is doing a lot of work using the same pathways, which means that regardless of the time of year, it could still get clogged! Summertime is also when the windows are frequently open (hopefully your A/C isn’t running! ), and a lot of dirt, dust, and pollen waft in with the fresh air. Add the human and pet dust that normally get pulled into your HVAC system, and you have the perfect conditions for clogging even the best furnace filters more quickly. This makes it harder for the air to get through, reducing airflow and forcing your system to work harder, too. This then means more energy is expended, and your bills will increase, too! It’s more than just an impact on your physical system. When allergens get pulled in, they can recirculate through the home if the filter isn’t clean, lowering your air quality and making it hard for those with sensitivities to live without the nuisance of allergy flare-ups. A clean filter will trap these more effectively and keep dust and dander from making its way back to your living spaces. 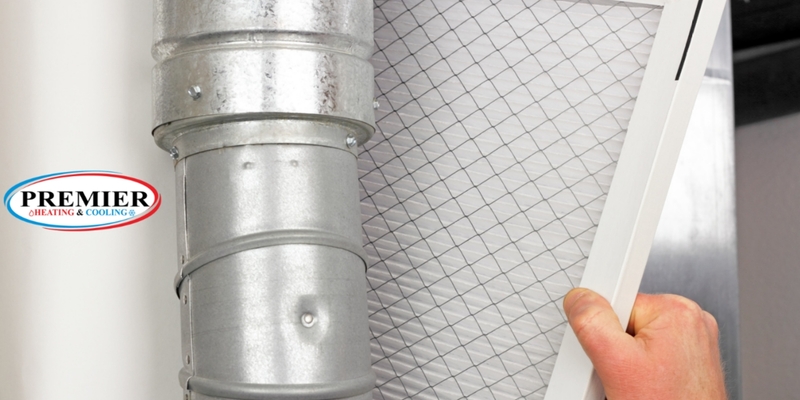 It’s a good idea to change your best furnace filters every three months at a minimum and the cheap air filters even more frequently. Not only can it help your system work more efficiently, but it can improve your air quality and reduce the allergens floating around in your home. 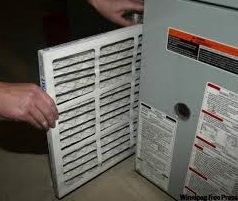 It will also keep your HVAC system running much longer and reduce the need for maintenance when you desperately need it. Also, lower energy costs are always a good thing! 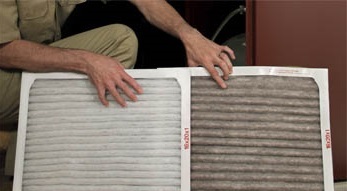 Changing your furnace filter in the summer should never be neglected. When it’s regularly swapped out for a clean furnace filter, you lower the chances of having to (call us)! However, if you’re having troubles in other areas and need a hand, (Premier HVAC) will be there for all your A/C and heating needs. This entry was posted in HVAC HEPA Filters, HVAC repairs, Tips. Bookmark the permalink.